See more objects with the tag personal, communication, electronic, offices, information, technology, mathematical, dense, rectilinear, innovative, boxy, electronics, computing, cubes. See more objects with the color tan grey darkslategrey or see all the colors for this object. This is a Personal Computer. It was manufactured by Apple Inc.. It is dated 1984 and we acquired it in 1997. Its medium is molded abs plastic, glass, electronic components. It is a part of the Product Design and Decorative Arts department. The integration of the “mouse-window-desktop” was revolutionary to personal computing since it drastically changed the way users interacted with the machine. 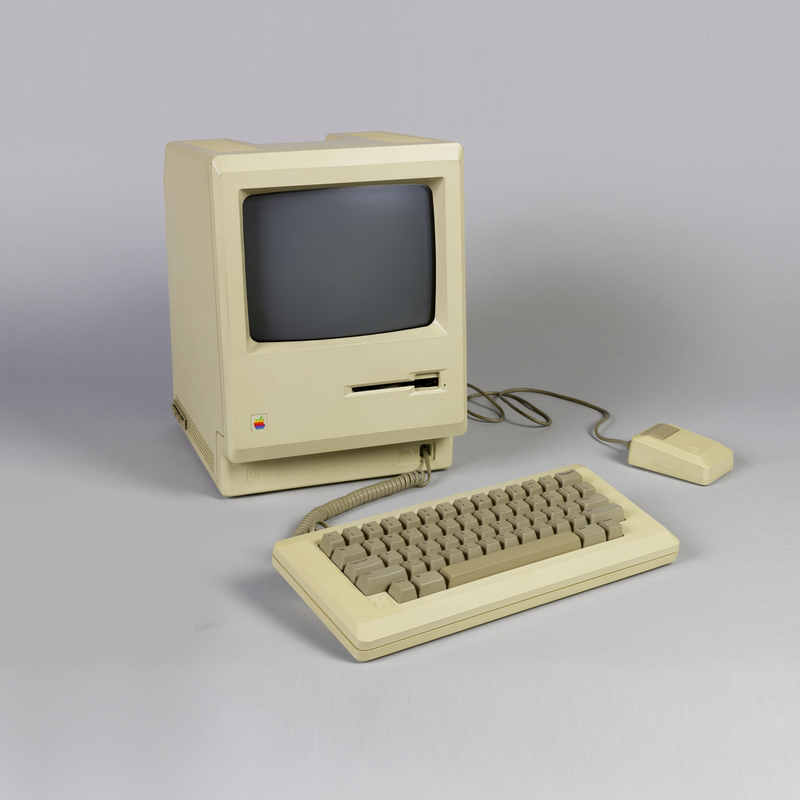 Apple gave this personal computer a graphical user interface: icons (or graphic symbols) were the way users could work with the software, by clicking on the icons or dragging them with the external mouse. In a stellar feat of marketing, the company introduced the machine via a television commercial (directed by Ridley Scott) during the Super Bowl in 1984, the year the Macintosh was introduced. It is credited Gift of Alan Plaut and Roland Trope.